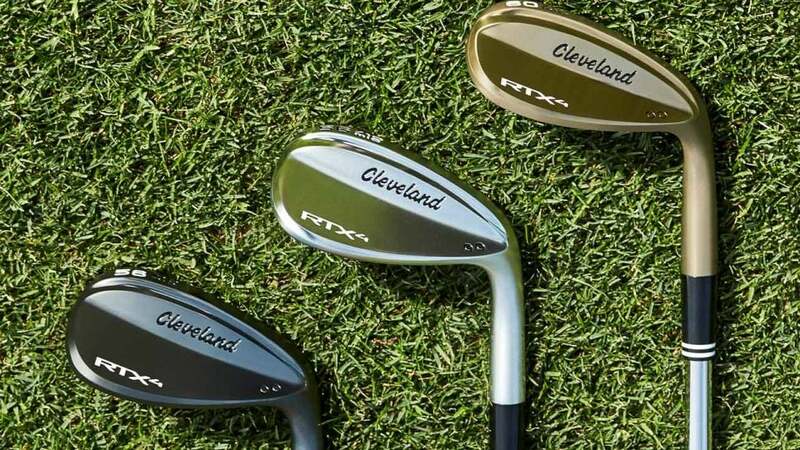 The Cleveland RTX 4 wedges come in three different finishes, shown above. Cleveland wedges have been some of the most popular in the game seemingly since they were first introduced in the late 70's. Today's RTX 4 model ($140 each) carries on the tradition exceptionally well with fourth generation Rotex face technology, which features the most aggressive face milling and sharpest grooves of any Cleveland wedge to date. 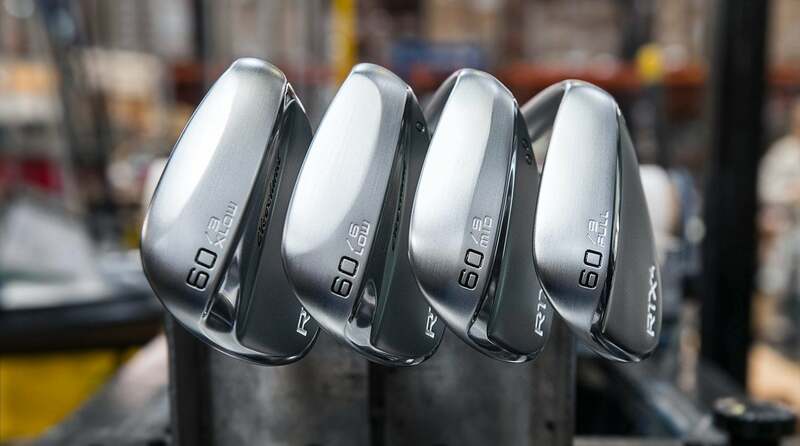 The new RTX 4 also differs from the previous RTX 3 by offering less offset, a more compact profile, and four new sole grinds, all of which were designed via significant input from Cleveland Tour staff members like Keegan Bradley, Graeme McDowell, and Shane Lowry. Another look at the new Cleveland RTX 4 wedges. The four new sole grinds include FULL sole for the most bounce, MID sole for medium bounce, LOW sole for low bounce, and XLOW, for players who want the most versatility when it comes to pulling off extra challenging greenside shots. The FULL sole is available in 56°-60°, while the MID is available in 46°-60° and the LOW in 56°-64°. The new XLOW comes in 56° and 60° only. In addition, the new Cleveland wedges are designed with the company's next gen Feel Balancing technology, which utilizes redistributed weight in the clubhead to move the CG closer to the center of the clubface for improved feel and accuracy. Three different finishes are available, including Tour Raw, Black Satin, and Tour Satin. The new RTX 4 wedges will be available at retail on September 14th.